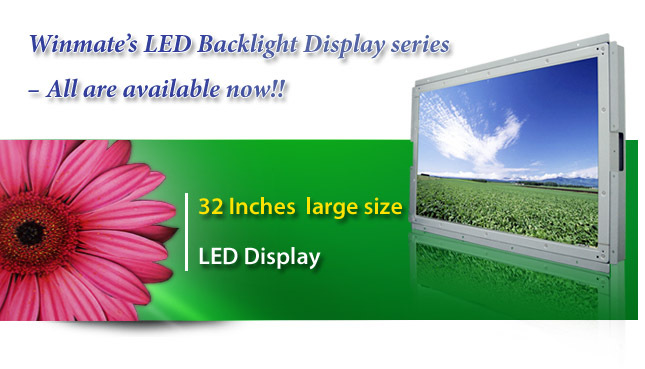 Winmate's LED Backlight Display series - All are available now!! For the LED Backlight display series, Winmate has added the large size of 32" now to the family. Comparing to CCFL backlight, the new panel has extremely long life, high durability and low power consumption. Winmate provides you with the comprehensive product line of LED backlight display and total solution upon your request. 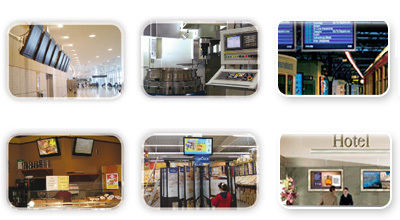 If you are looking for a LED panel for industrial applications, Winmate is your best choice. Excellent Durability (longer than CCFL). Extremely slim design provides mounting flexibility. Lower power consumption (only half of CCFL). Digital control with 100% dimming capability.